Many people have always wanted to know how to increase memory power. There are many methods that work to make your memory stronger and I urge you to take advantage of them. Remember that it starts with the brain, so the brain needs to be as healthy as possible. Health is the bestway to kick start a tired brain. If you feel that your memory is slipping away, then the methods I will describe will be greatly useful. There are plenty of ideas floating around in the health community and here are just a few. The easiest and first way is to fix your health. First and foremost, I would recommend your exercise is great for your memory. Studies have shown that if you exercise after learning something, you will remember things a lot clearer. Long term, exercise also can make a difference in your memory as soon as four weeks. If you are sedentary, it is crucial that you start moving as soon as you can. Another way to help you remember things is to optimize sleep. Ever feel groggy-eyed to the point where you can’t think straight? That is a classic symptom of being low on sleep, and it should be obvious that you can’t really learn anything (or retain it) when you’re in this state. First of all, you learn things when you sleep. So let’s say you have to remember something tomorrow- chances are, if you study it at night (before you sleep) you will remember it in the morning! There are numerous studies that demonstrate this. I would recommend about eight hours of sleep every day. Here are some foods that would help your brain health. Blueberries- These berries are chock-full of antioxidants­, which are great for your health because they prevent the formation of free-radicals. Free-radicals are directly associated with the aging process, and studies have proven that antioxidants are proven to show enhanced memory power. Salmon- About half your brain is made up of a fat called DHA, which is an Omega-3 fat. The DHA content in salmon is higher than any other fish. Far too many people nowadays are deficient in their Omega-3’s so to boost memory I would strongly recommend taking an Omega-3 fish oil pill every day. Eggs- It contains choline which is essential for brain development. Coffee- Caffeine by itself is not good for you, make no mistake. It can be helpful, but not healthy. Though coffee may contain caffeine, it also contains large doses of antioxidants, so as a whole food, it is a wonderful for healthy memory. Commonly called nootropics, brain supplements are easily the fastest way to fix your memory. Though they are a hotly debated topic, I have found that they work for me, and I just wanted to share what I’ve found useful. The reason why they are so popular is because you do not have to fix anything- all you have to do is take a pill. My experience with nootropics was mostly positive. Though the effect is not earth-shattering, it definitely helps me learn things quickly and retain them. It also keeps me feeling better and much more positive. 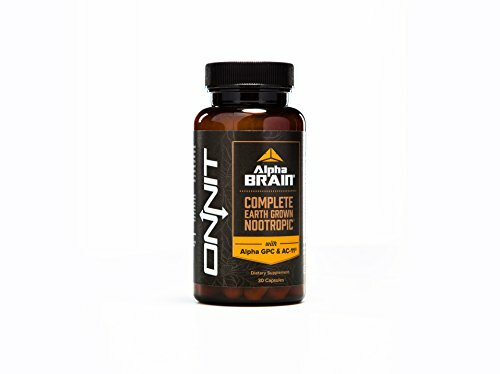 This supplement is called Alpha Brain and has many supporters. I would strongly recommend that you at least try it, because there are really no repercussions in trying it. However, I would like to say one thing- it starts with health. There is a reason why fixing your health was mentioned first; your brain is an organ that needs to be taken care of, just like your heart. Heart health is directly correlated with a good lifestyle. Now why would brain health be any different? But these supplements are clinically proven to help, so they are worth trying. Like a muscle, the brain will deteriorate if it isn’t used regularly. Be a lifelong learner and your brain will be working anew! In fact, there are studies where Alzheimer’s patients start to use their non-dominant hand and their symptoms begin to recede. Neurons are able to make new connections and this in a way, renews your brain. Again, I would tell you that any new thing you do will stimulate your brain to become a better learner. That’s why I would tell you to read regularly, try to learn new things, and change things up. Also one thing I have found to be helpful are memory exercises. Games like crossword puzzles are great for increasing cognitive function.